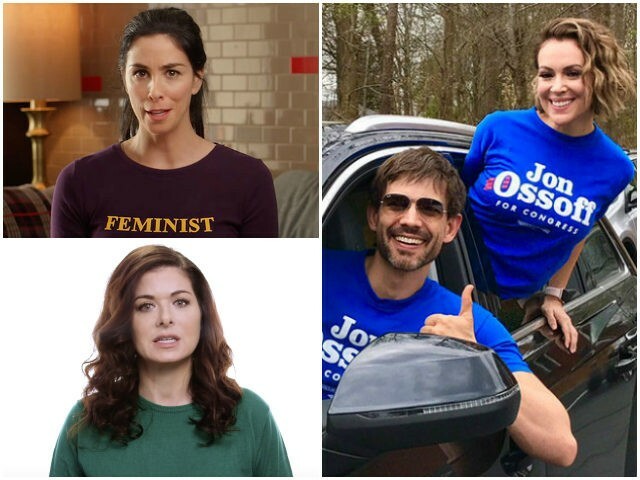 Some of Hollywood’s biggest stars took to Twitter Tuesday to bash Republican Karen Handel and throw their support behind her Democratic opponent, Jon Ossoff, as voters head to the polls for Georgia’s Sixth District special election. An April election between Handel and Ossoff, a 30-year-old documentary filmmaker-turned-Democratic politician, forced Tuesday’s special runoff election. Ossoff had received a flood of celebrity support and cash for his campaign, which was seen as a long-shot bid to steal a seat long-held by former Rep. Tom Price (R-GA), now the Secretary of Health and Human Services. Actress Alyssa Milano launched a campaign encouraging people to tweet photos of themselves on voting day. The Who’s The Boss and Charmed star is a vocal proponent of the Democratic candidate and personally drove voters to polling sites for Ossoff during the April election. A slew of stars also used their social media platforms to help encourage voters to pull the lever for Ossoff. Ga Voters, get out there & VOTE OSSOFF!! The Future is now, make a Change!! You're our First Step on the Road to Recovery!!! Like Elizabeth Warren, I'm for Ossoff. I hope he wins. I don't want to make the perfect the enemy of the good.